What does "high definition" even mean anymore? There comes a time when words like "ultra" and crazy high pixel density just start to lose any kind of descriptive power. Sharp is making my linguistic conundrum even worse with an absolutely pixel-crammed set, called the Beyond 4K Ultra HD TV. I could tell you how purty it is (It's really purty! ), but in this case it's best to just go with the specs. The Beyond comes with a mind-bending 66 million subpixels, which Sharp says is 42 million more pixels than the standard 4K Ultra competition with a near-8K resolution (which is 7,680 x 4,320.) They get to that number using what Sharp calls pixel splitting, so basically you're getting a crap ton of pixels. That means these displays can show off more colors than ever before, and Sharp helps with the whole "but there's isn't even 4K content" thing by providing its own upscaler so all those pixels can actually be used though probably not as great if the content was shot in a native resolution. This TV is for the professional one-upper. 4k!? Bah! 4K is so 2014! And I guess someone who has a hilarious amount of money to spend on whatever, but the tech is definitely impressive. If anything, it only proves that 4K wasn't a finish line, but rather a starting point. Top to bottom: UH30, UE30, and UB30. Sharp also expanded its traditional (can we call it that now?) 4K line with the UB30, UE30, and UH30 televisions. 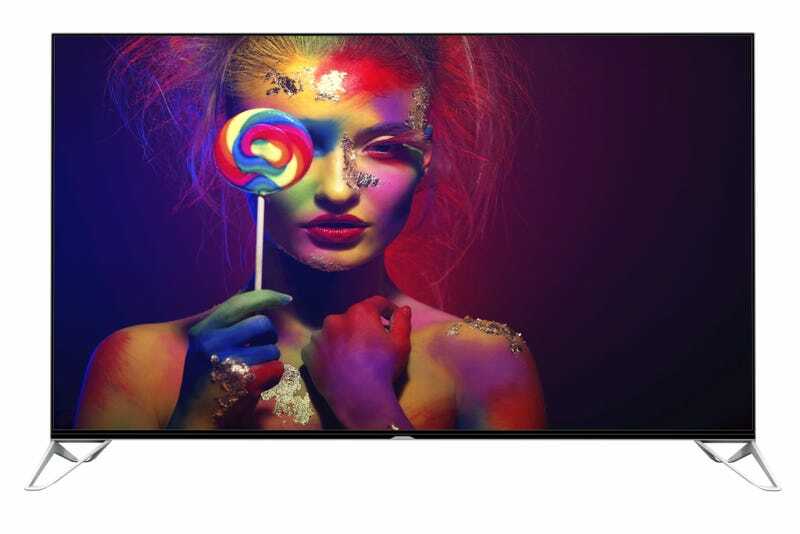 The first model is Sharp's cheaper set, starting at $750 with 43, 50, 55, 60-inch sizes, and the latter two will adopt the Android TV platform and come in the much bigger 60 (UE30 only), 70, and 80-inch range. Sharp's technology vomit of 4K tech is pretty much instep with what we're already seeing from other big TV manufacturers at CES. Looks like 4K is finally making the mainstream push.